Is the global cryptocurrency market ready for a token from a major e-commerce company? 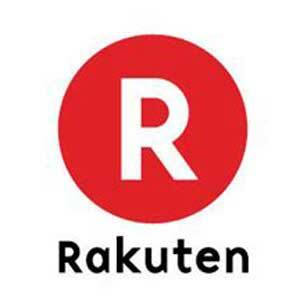 Speaking at the Mobile World Congress in Barcelona, Rakuten CEO Hiroshi “Mickey” Mikitani announced that his company plans to launch a new blockchain-powered payment system called Rakuten Coin. While the company isn’t well-known in the U.S., Rakuten is easily one of the world’s largest e-commerce companies, and is often referred to as the “Amazon of Japan.” Rakuten isn’t exactly a stranger to the cryptocurrency world, integrating bitcoin payments in 2015 following its acquisition of San Francisco-based payment startup Bitnet Technologies. Few details about Rakuten Coin have been made public, although Mikitani says it will be integrated with Rakuten Super Points, the company’s existing loyalty program. No launch date for the token has been announced, and it’s not clear how Rakuten Coin would be bought, sold, and traded within the greater cryptocurrency market. Mikitani noted that the token will use “blockchain technology,” but that could mean virtually anything from an Ethereum-powered ERC20 token to a fully proprietary system. Given Rakuten’s highly aggressive investment strategy — it owns several major e-commerce platforms in Europe and South America, has large stakes in Pinterest and Lyft, and owns the massively popular messaging app Viber — it’s not hard to see why the company would be interested in creating a unified global payment platform. Interestingly, Rakuten isn’t the only major corporation making headlines due to cryptocurrency this week. Speaking on FOX Business yesterday, Starbucks Executive Chairman Howard Schultz said that the coffee retailer was seriously considering the integration of a “proprietary digital currency” into the company’s new payment app. “I think blockchain technology is probably the rails in which an integrated app at Starbucks will be sitting on top of,” Schultz told FOX Business’ Maria Bartiromo. Ironically, Starbucks would be moving away from traditional payment rails because they trust the cryptography-powered blockchain tech more than they appear to trust traditional payment platform providers. Should Starbucks experiment with blockchain technology yield positive results, it’s entirely possible that we may soon see a flood of tokenized payment systems from other major U.S. and international companies in coming months. It’s also possible that these companies may eventually set up their own exchanges, allowing customers to redeem or transfer tokens between apps, or even allow them to be directly recharged with established cryptocurrencies.